Yes, the clock circuit was in "the other side" of the mainboard. I finally had today the time (and courage) enough for doing the hardware modification to my "very old" 600E to have it working at a clock speed of 100MHz and.... it works !!!! I thought for a while in doing also the FSB to 108MHz mod, but the resistor I have (1/8watt) is too big for putting it under the MMC2 board and, aditionally, the solder I have, being small, it is not the appropiate for the places that have to be solded the resistor. So, I'll stay with my 100MHz and now waiting for the new memories to come to my hands in the coming days (hopefully). I just installed a new HDD on my Thinkpad 600x 4EU 500Mhz. Its a Samsung 120GB HM121HC for 44 Euro incl. shipping. It works without any problems out of the box. I cloned the old original 12 GB HDD with HDclone free edition. 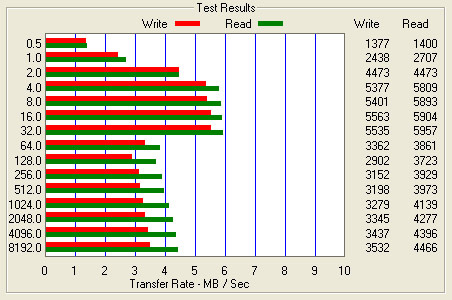 The new drive is basically silent in comparison to the old shaking and buzzing HDD. My attobench results. 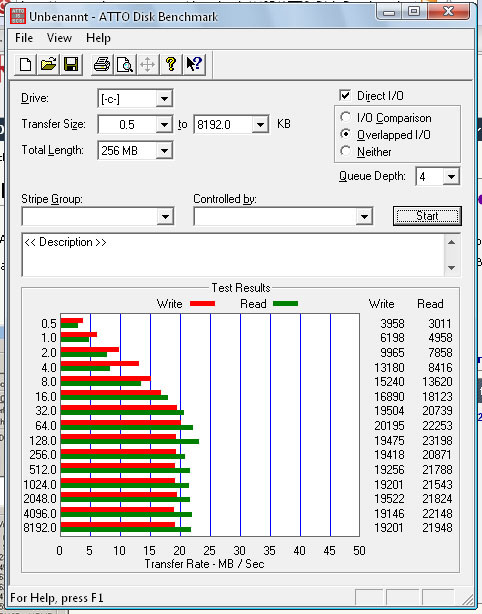 Max at about 22 MB/s. 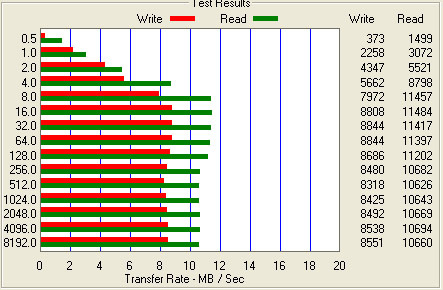 My home SSD reaches easily over 100 MBs but thats another story. For comparison my original 12 GB from 1999. Its about half the speed but with real working the speed improvement is much larger. Another comparison with the TP 600E with the original 6GB HDD from 1999. Really slow with 4-6 MB/s max. Uniter, i also decided to upgrade the HD on my 600x from the original 12GB to a new 40GB. I did a test on the old HD using the same software, 8-9 mb/s, pretty much the same as you were getting. Now i'm getting 20 read, and 32 write speed. (why the big difference in read/ write ) Its also a lot quieter. Finally i upgraded the RAM to 448. I'm wondering if a BIOS flash is necessary to get a large HDD working properly. My version is 1.09 and I installed a dual-boot but for some reason one of the OS' will not load. I also get a message before my linux boots that a forced ACPI will be done. It also says something about an old BIOS image (1999) and no (2000) BIOS. Something along those lines. I'm assuming a newer BIOS version must be necessary to get my dual-boot working properly. emeraldgirl08 wrote: I'm wondering if a BIOS flash is necessary to get a large HDD working properly. emeraldgirl08 wrote: My version is 1.09 and I installed a dual-boot but for some reason one of the OS' will not load. I also get a message before my linux boots that a forced ACPI will be done. It also says something about an old BIOS image (1999) and no (2000) BIOS. Something along those lines. Note that the internal BIOS date of ALL 600X BIOSes is 1999, even though the release date for some of them was a few years later. The reason for this has to do with something about Windows 98 installation and the use of the BIOS date to determine ACPI/APM compatibility. I'm not saying you shouldn't upgrade your BIOS, and maybe that will solve your problem. I'm just noting that you should be careful if you are relying on the internally reported BIOS date to make any decisions about this. Re: can anything be done to a thinkpad 600 to speed it up? guest wrote: I have a TP 600 and want to run a DVD player on it...any ideas to make it work? I have used the caddy and faceplate of a bad TP 600 UltraBay CDROM drive and replaced the bad drive with a DVD/CD-RW combo and it works just fine. Just preparing for LCD replacement and found helpful video on this, since I have two dysfunc and 1 working 600x (win7, 512mb ram, samsung hm160c hd) and I'm a little nervous about it. Mom is giving me her old "A" series in July, but I need my winged turtle for now. -Is there any way to replace the ccfl backlight with an led one? -How to install an OS to the blank drive? Probably...but it's not a job that I would be willing to take on any longer, on any ThinkPad. My eyes are not good enough, my hands are not steady enough, I don't have to right tools or environment. Even the CCFLs I have replaced in the past did not turn out as well as I had hoped. That I have done many times, and the procedure on a 600 series is the same as any other computer...simply boot the install media, partition and format the drive then install. What do you use to boot? CD/DVD? And what and how did you write to the install media? Well, several years ago, I had a 600X that ran W98SE for a long, long time. I had a factory pressed install CD for W98SE. Eventually sold the 600X, but acquired an older 600E some time later, but still several years ago, and ran a few Linux distro's on it, but Win XP for the longest time. Pretty sure I burned XP to a CD-R disk for install. Those old CD/DVD drives just don't seem to read RW disks very well (either CD or DVD), and do a little better with non rewritable disks. Even better with factory pressed disks. Another option might be be burn a PLOP boot CD which would give you the option of installing from USB. Not sure that I've ever used that method on a 600 series machines, but have on other old hardware. So wait, I have a 600 and it came with 64MB RAM. (32MB onboard + a 32MB stick). I had some 64MB PC100 sticks around and stuck it in, and it only amounts to 128MB. I am assuming that's because the onboard is PC66?